­­D.R. Horton’s Southwest Florida Division is proud to announce new elevations are available in Paloma, a community in Bonita Springs, which opened for sales in February 2013. 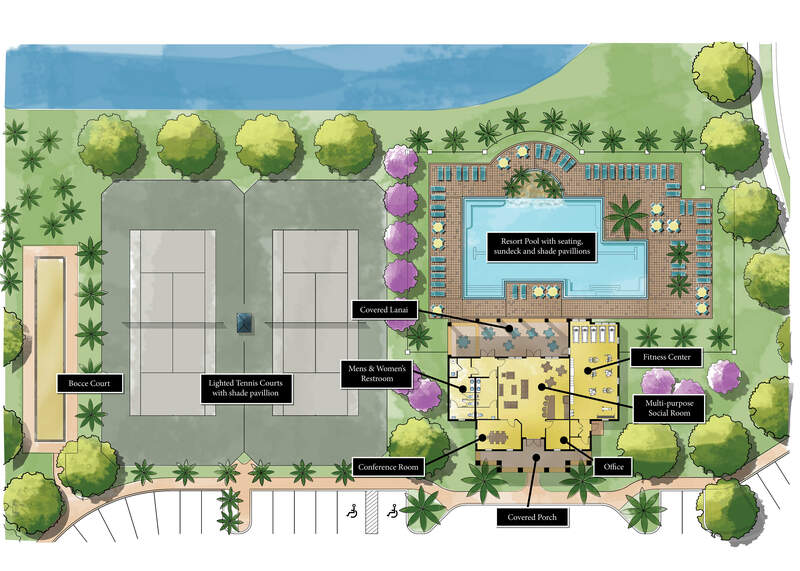 The new Amenity Center will feature a resort style pool with custom water feature, seating, large paver sundeck and shade pavilions, fitness center, multi-purpose social room and bocce court. Paloma is just a few miles from the warm sandy beaches of Bonita Beach and equally close to the shopping havens of Coconut Point and Miramar Outlets, with quick access to I-75. As Paloma residents, owners will find they are located in the center of attention for beach lovers, shoppers and commuters alike. Single-family homes have between 1804–3552 square feet of living space, and are priced from the mid $200’s. Highlights include a great school district in Lee County, nearby shopping and restaurants, luxurious open floor plans and clubhouse. Founded in 1978 in Fort Worth, Texas, D.R. Horton has operations in 79 markets in 28 states in the East, Midwest, Southeast, South Central, Southwest and West regions of the United States. D.R. Horton is America’s largest builder as reported by Builder magazine for eleven straight years. For 35 years, D.R. Horton has consistently delivered top-quality new homes to homebuyers across the nation. The livable floor plans, energy efficient features and robust new home warranty demonstrate their commitment to excellence in construction. D.R. Horton demonstrates leadership in residential development through design innovation, superior craftsmanship, and responsiveness to the needs of its customers. The simple vision that began 35 years ago represents years of value and security when you choose America’s Builder to make your dreams come true. For more information, visit our website at www.drhorton.com/swfla. Home and community information including pricing, included features, terms, availability and amenities are subject to change and prior sale at any time without notice or obligation. Square footage dimensions are approximate. D.R. Horton is an Equal Housing Opportunity Builder.